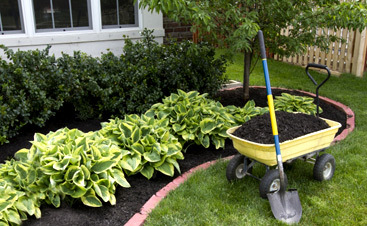 It is that time of year again, spring cleanup is in full swing and your yard looks presentable for the time being. Look around for a moment. Breathe in the fresh cut grass and close your eyes. Do you picture an elevated planter filled with wildflowers and butterflies? How about a water feature with a small pond containing gently rising Koi, swimming lazily in calm strokes. Or the patio of your dreams containing a fire-pit ready for warm summer nights roasting marshmallows and hotdogs. Do you see any or all of these things in your mind but don’t know who to call? Your dream yard is simply a phone call away! 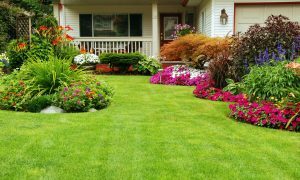 The professionals from Dr. GreenThumb are ready and willing to design, execute and maintain your dream yard. We have the experience to make your yard the envy of the entire neighborhood. Let’s say you recently purchased a new house in Edmond; now you have the excitement of the yard and the possibilities. Let us design your dream landscaping, keeping the needs of you and your family at the forefront. Water features are extremely popular and what better time to install a gorgeous waterfall than when your home is new? When renovation is discussed it is usually an interior room such as the bathroom or the kitchen. The often-neglected outdoor spaces are usually not considered. 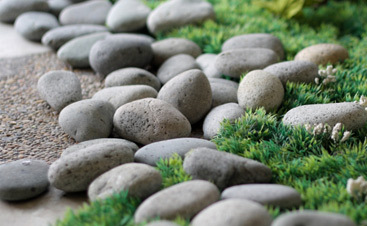 A renovation of your landscaping is an amazing way to build equity and curb appeal. Be sure and call us today for your spring consultation.